Researchers at Detroit-based Wayne State University are working to give clinicians tools for identifying early signs of Alzheimer’s by studying subtle deviations in the way the brain modulates its chemistry during the formation of new memories. The project was recently awarded a two-year, $423,500 grant from the National Institute on Aging of the National Institutes of Health. Age is the most significant risk factor for Alzheimer’s. Therapeutic efforts don’t work to treat it, and experts argue that identifying the onset of the disease as early as possible will advance the fight against its effects. The project is called “Task-related modulation of hippocampal glutamate, subfield volumes and associative memory in younger and older adults: a longitudinal ¹H FMRS study.” Jeffrey Stanley, professor of psychiatry and behavioral neurosciences in Wayne State’s School of Medicine, and Naftali Raz, professor of psychology in Wayne State’s College of Liberal Arts and Sciences and director of the Lifespan Cognitive Neuroscience Program in the Institute of Gerontology at Wayne State, are leading the study. 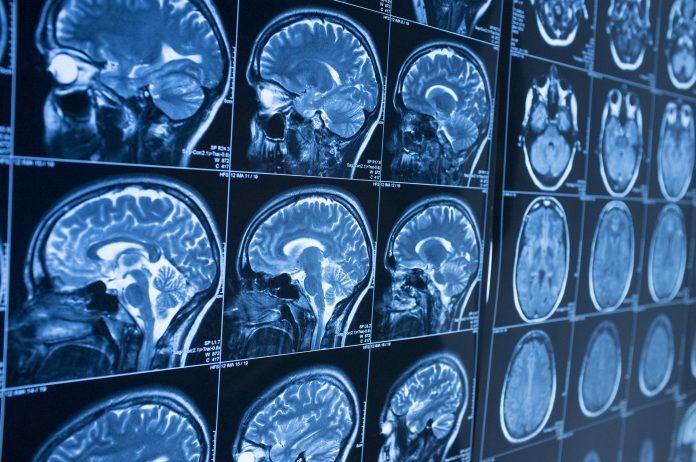 They will use a noninvasive technique called functional magnetic resonance spectroscopy (fMRS) to characterize memory function based on the modulation of the brain’s most common neurotransmitter, glutamate, in real time as study participants engage in a memory task. Stanley and Raz will examine changes in glutamate within the hippocampus, a region of the brain that is critical for memory, during creation of new associations between pictorial stimuli and their location. The investigators believe the results of the study will lay the foundation for intervention aimed at mitigating cognitive decline.